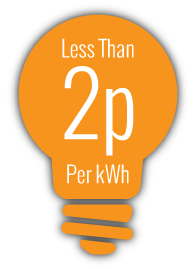 With continually rising energy bills and the need to show clients that they were serious about reducing their carbon footprint, Lancashire-based textile machinery agents, Allertex, decided to take advantage of the Government Feed in Tariff scheme and move towards a greener future. With the scheme, the company would benefit from free energy for the next twenty years and beyond, while reducing their carbon footprint. Allertex chose to make their move to a renewable energy source with the help of Low Carbon Energy – whom they knew through the local chamber. Confident that Low Carbon Energy offered value for money and had a good track record in implementing renewable energy solutions, Allertex soon began their journey to an eco-friendly future with solar panels. 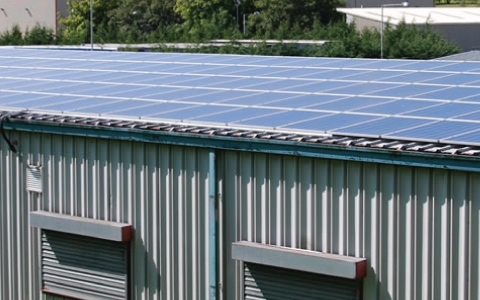 After discussing Allertex’s needs and aspirations, the team at Low Carbon Energy were able to suggest the installation of a 30 kW solar PV system. This new system would not only generate a significant proportion of Allertex’s energy needs, it would also reduce their carbon footprint by 13 tonnes a year – saving the company money and giving them a clear conscience. The environmental benefits of solar panels for the business were a big factor in the company’s decision-making process along with the commercial benefits of moving to solar. “The solar PV system meets all of our objectives. Ged Ennis and his team at Low Carbon Energy delivered a complete turnkey design, installation and commission service with no disruption to our business. “The return on investment is significant and since its commissioning two months ago we have seen savings of around £1,500. “It was great to work with our fellow local chamber members, Allertex, and advise them on the best way to reduce energy bills and move to an eco-friendly future. “The task was straight-forward and completed with ease. There was no disruption to the company’s day-to-day work at all.